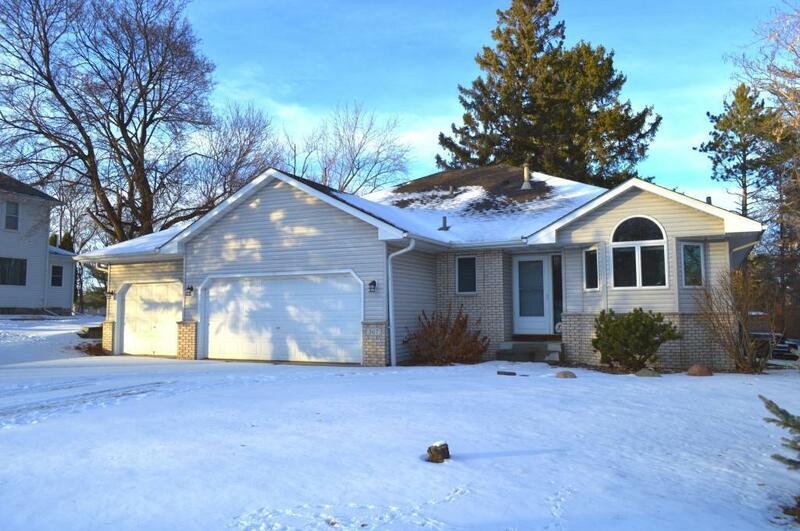 Attractive & spacious 5 bedroom, 4 bath home with convenient in town location. Close to schools, restaurants and bike trail! Spacious & open kitchen, dining & living room. Living room with knotty pine & vaulted ceilings. Lower level family room with gas fireplace. Three bedrooms on one level including the master suite with spacious walk-in closet & private master bathroom. Private back yard with mature trees to enjoy! This is the one, schedule a showing today!